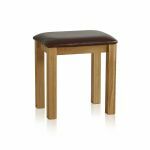 The Tokyo Natural Solid Oak and Brown Leather Dressing Stool combines the luxurious supple quality of genuine leather with robust solid oak. 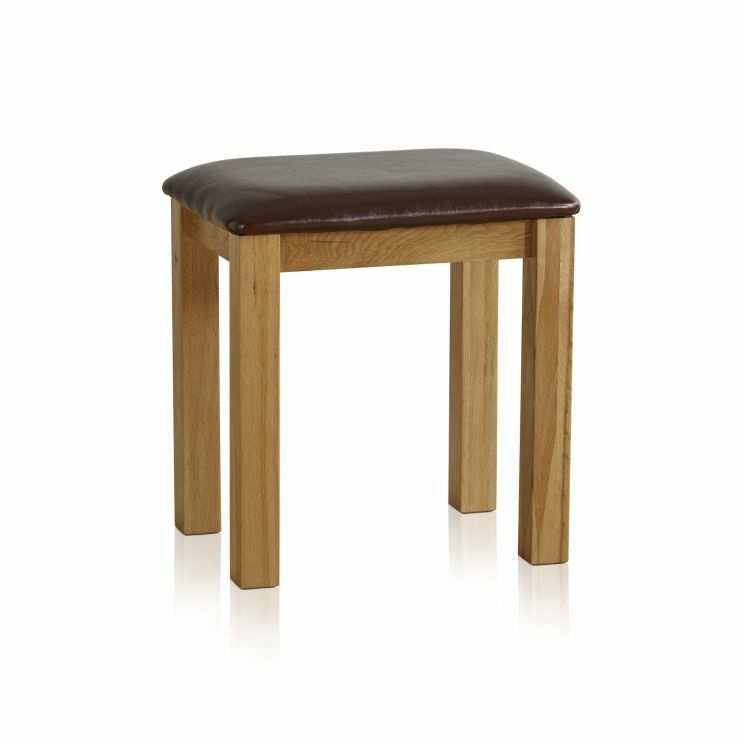 Whether you want to place it in the bedroom at one of our solid oak dressing tables, as a handy hallway seat or extra stool in any room, in classic oak and leather, it will fit in beautifully anywhere. 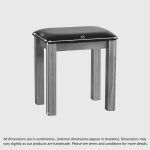 All of our chairs and stools are made to high standards of durability and strength. Our expert joiners use traditional methods to craft chairs that will last. 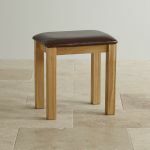 The padded, leather covered seat provides great comfort and the oak legs are waxed for protection and quality of appearance.